Min has more than 10 years of experience providing tax planning, consulting and compliance services for closely held businesses, as well as high net worth individuals and families. She works with clients in a range of industries, including manufacturing, wholesale, distribution, real estate, technology and construction. 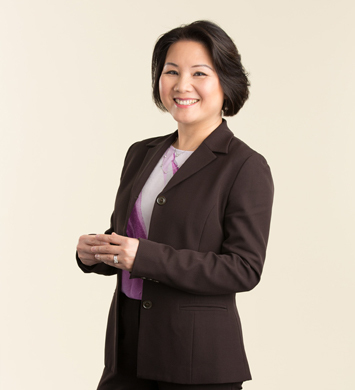 Fluent in Mandarin and Cantonese, Min also serves as the point person for all China-based client or prospect inquiries from Moore Stephens North America, an accounting firm association of which Armanino is a member firm. 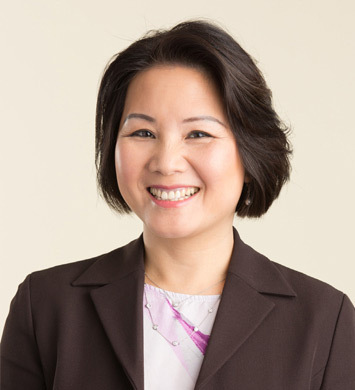 She is a member of the American Institute of Certified Public Accountants, the California Society of Certified Public Accountants and the East Bay chapter of Commercial Real Estate Women (CREW). She is also a founding member of Armanino’s Women’s Advancement Network. Min earned an M.S. in taxation and a B.S. in accounting from California State University, East Bay. I knew someone who worked here, and they told me about the firm’s culture, how it was fast-paced with a lot of opportunities to learn. Continuous learning was really appealing to me as a young professional who had just graduated from college. Q. Make a prediction; describe your vision of the future business environment for one of the industries you serve. Real estate will stay strong in the Bay Area, thanks to the growth of the tech industry, and offshore investments will keep flowing in. Tax compliance will continue to become more complex, for foreign and domestic investors. Foreign investors will also face increased scrutiny of their real estate transactions here, as the government continues to tighten its regulatory requirements for offshore investments in the U.S. When my clients have issues, I stay awake thinking about how to solve them. I also think about my team, and how I can better share my knowledge with them. We can only grow as a firm when all of us work together and support each other, and the more experienced help those with less experience. Open and direct communication is very important to me. I check in often with my clients and return their calls quickly―their problem is my problem. With my staff, I’m very honest and get right to the point, whether it’s a conversation or an email. I don’t sugarcoat things or waste people’s time. I help them fix mistakes right away, and I’m also quick to tell someone when they are doing a great job. Professionally, it’s making partner. I came to the U.S. in my early 20s, without a college degree. Being able to learn English, go to college and work my way up here at Armanino―words can’t describe how that makes me feel. Learn to think for yourself and make decisions, and don’t be afraid to take risks or make mistakes. You have to be able to pick yourself up from a mistake, learn from it and move on. A family trip to Rome, Florence and Venice.